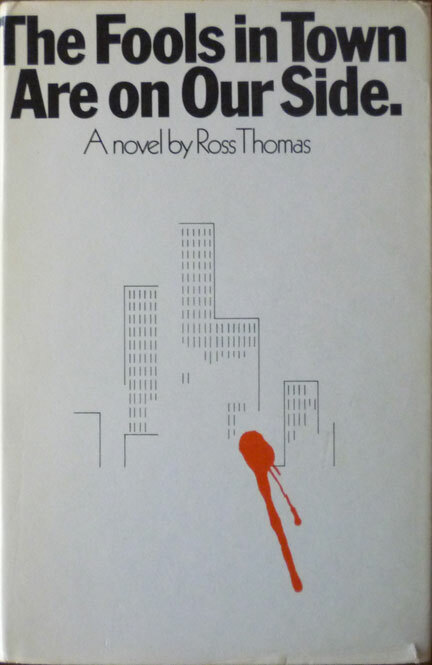 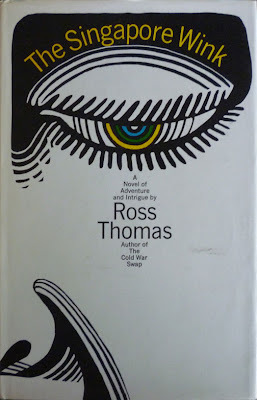 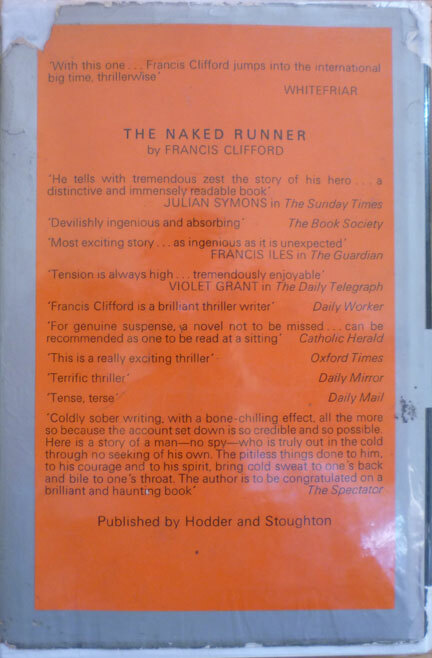 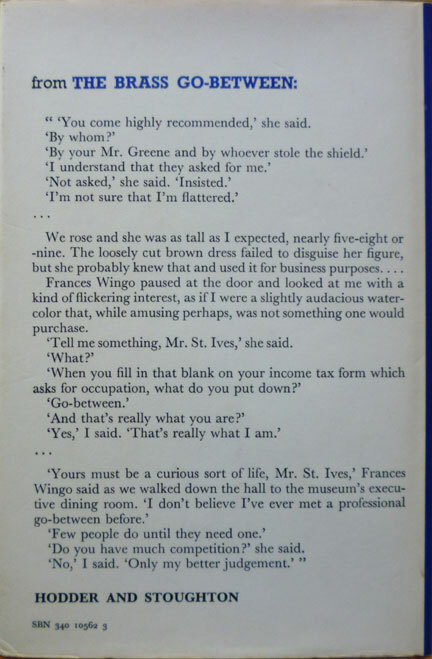 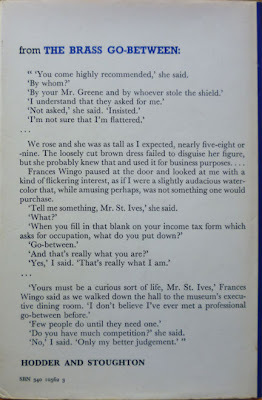 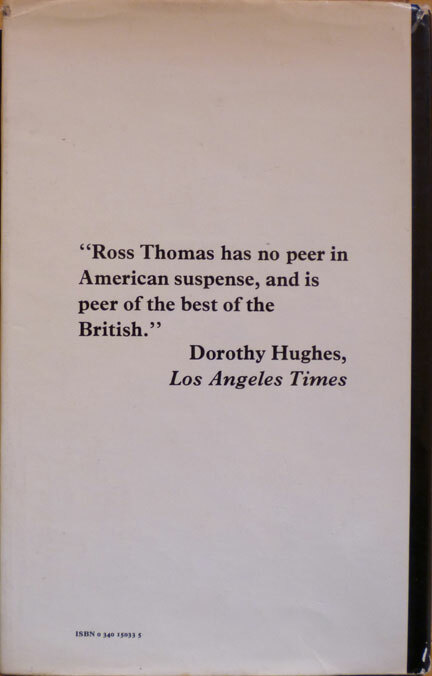 After yesterday's overlong essay on Ross Thomas's 1970 novel The Fools in Town Are on Our Side – brought to you as part of Ross Thomas Week, Mark III – today I've got something a little less wordy for you. The addition to my Thomas first edition collection of The Seersucker Whipsaw and The Singapore Wink means that I now have firsts of all of the British Hodder & Stoughton editions of Thomas's books, which in turn means it's time to gather them together in a cover gallery. 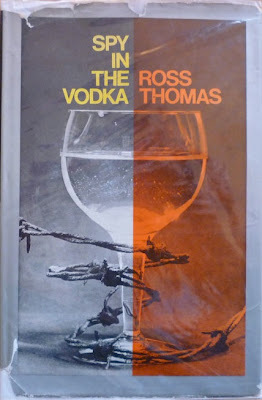 But before that, on with the cover gallery! 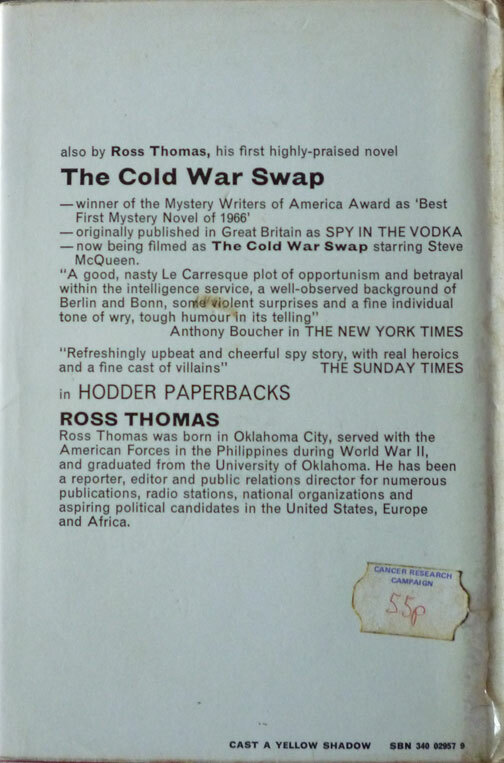 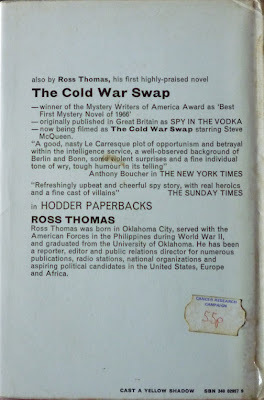 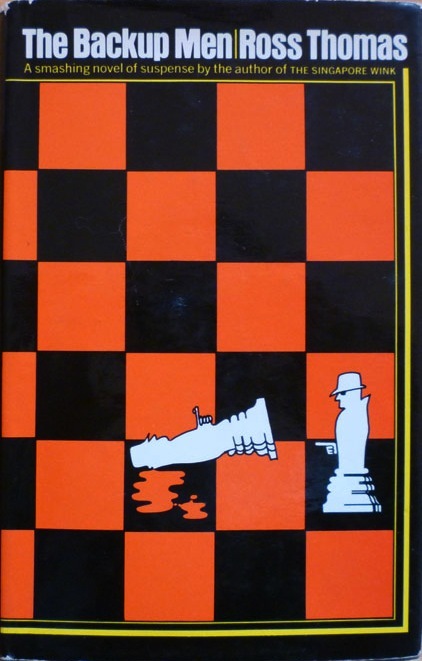 Spy in the Vodka, Hodder & Stoughton, 1967 (original US title The Cold War Swap, William Morrow, 1966); dustjacket designed by Peter Calcott. 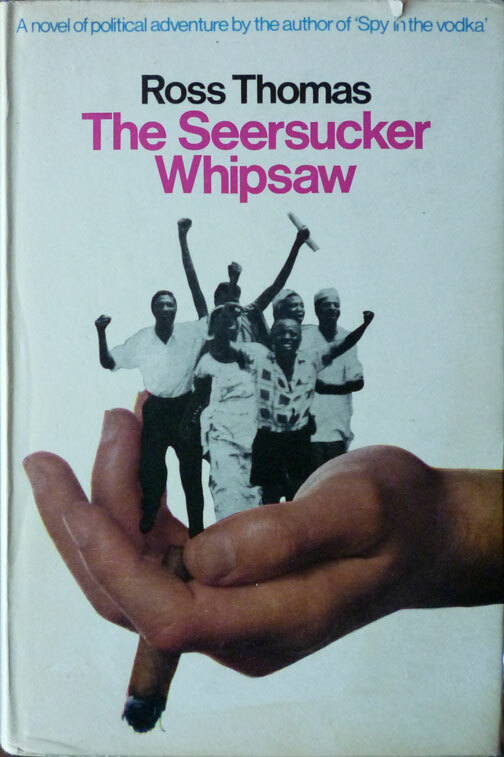 The Seersucker Whipsaw, Hodder & Stoughton, 1969 (US William Morrow, 1967); dustjacket designed by Baker/Broom/Edwards. 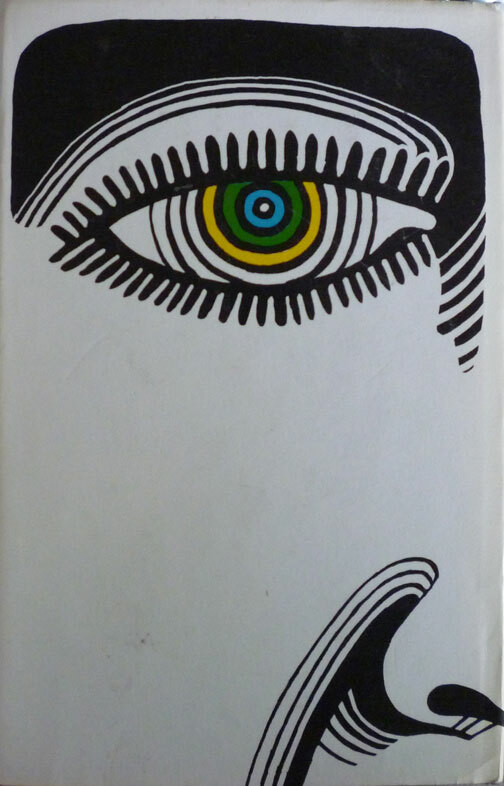 Cast a Yellow Shadow, Hodder & Stoughton, 1968 (US William Morrow, 1967); dustjacket designed by Baker/Broom/Edwards. 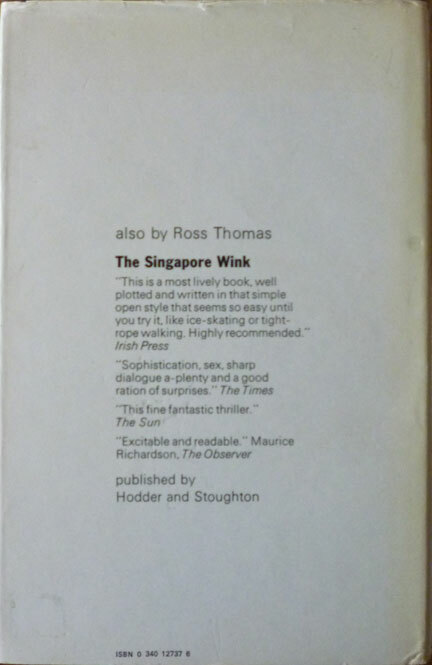 The Singapore Wink, Hodder & Stoughton, 1969 (US William Morrow, same year as British edition); dustjacket designed by Lawrence Ratzkin. 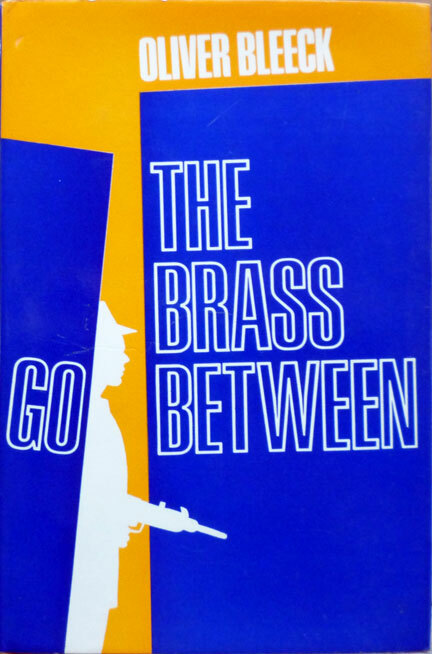 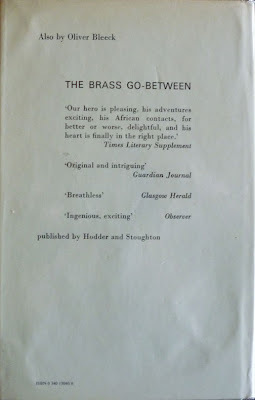 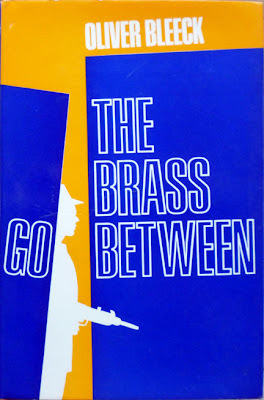 The Brass Go-Between by Oliver Bleeck (Ross Thomas), Hodder & Stoughton, 1970 (US William Morrow, 1969); dustjacket designed by Kaye Bellman. The Fools in Town Are on Our Side, Hodder & Stoughton, 1970 (US William Morrow, same year as British edition); dustjacket designed by Wilson Buchanan. 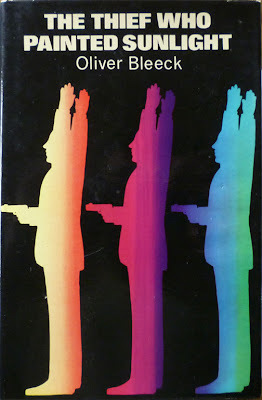 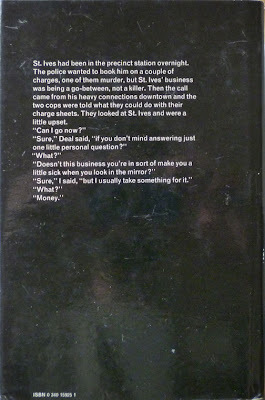 The Backup Men, Hodder & Stoughton, 1971 (US William Morrow, same year as British edition); dustjacket designed by Lawrence Ratzkin. 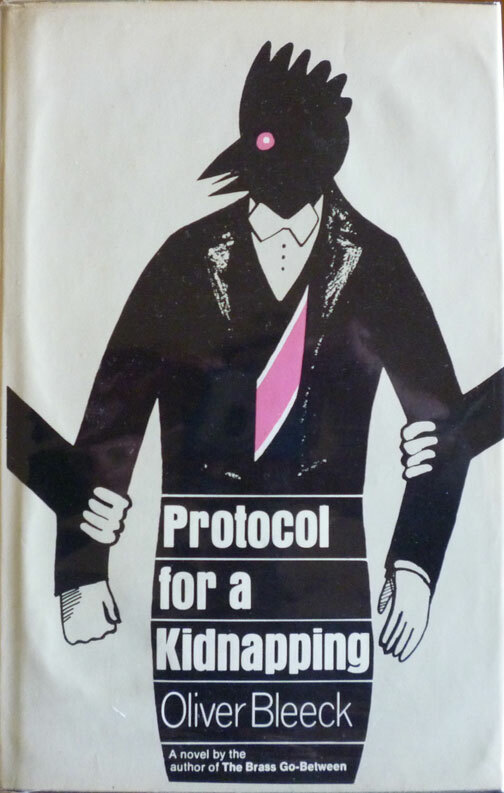 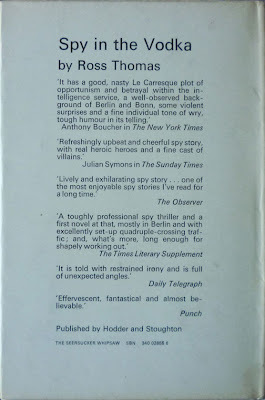 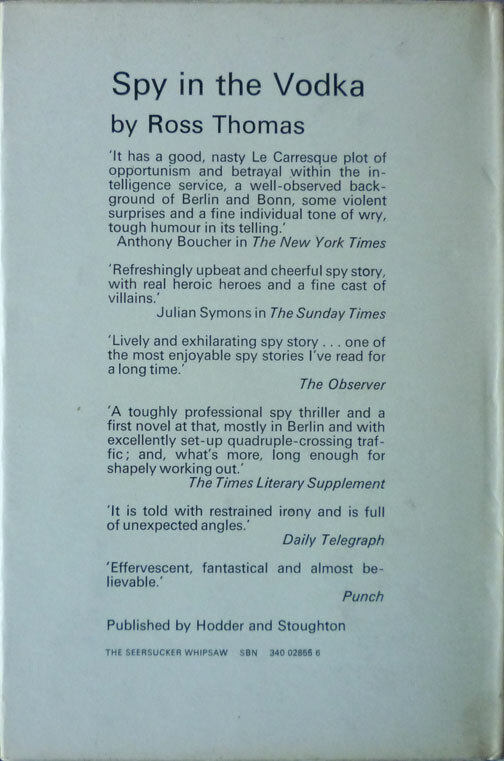 Protocol for a Kidnapping by Oliver Bleeck (Ross Thomas), Hodder & Stoughton, 1971 (US William Morrow, same year as British edition); dustjacket designed by Lawrence Ratzkin. 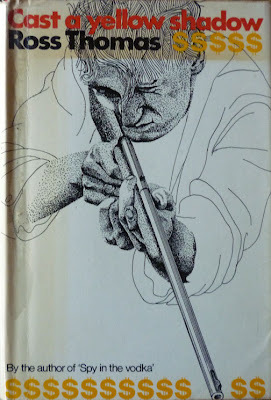 The Thief Who Painted Sunlight by Oliver Bleeck (Ross Thomas), Hodder & Stoughton, 1972 (original US title The Procane Chronicle, William Morrow, same year as British edition); dustjacket designer unknown. 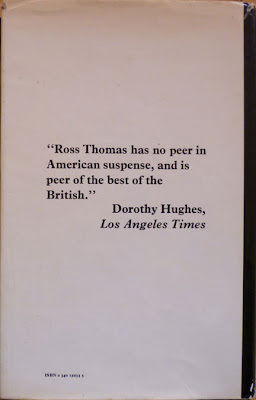 It's hard to pick a favourite. 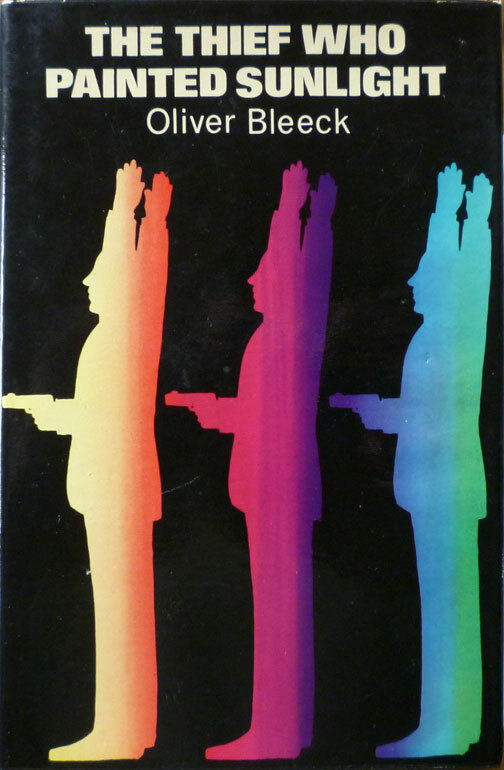 Singapore Win is strong, but The Fools is understated and thus more powerful. 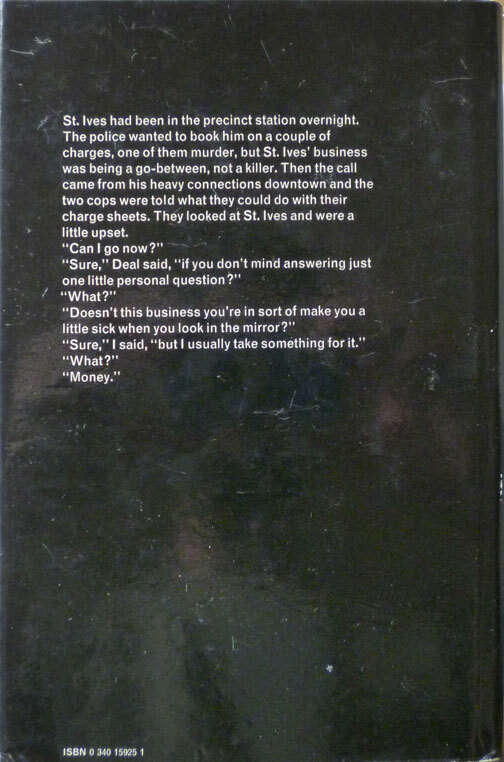 The Thief Who Painted Sunlight is also quite clever. Thanks for the Cover Gallery, sort of inspiring on this weary Friday morning.